the Intake temperatures had risen to very high levels, which in turn leads to power loss. By fitting a Bigger more efficient Airtec Intercooler the Intake temperatures are kept constantly cooler, keeping your Engine safe and your power to the maximum! 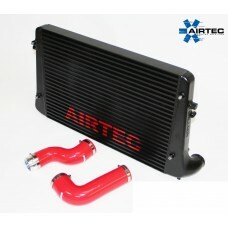 The New Stage 2 Airtec Intercooler comes with a 55mm core which also has a huge surface area, flowed end tanks and 64mm pipes outlets.